If you're sending a gourmet cookie gift box and want a bold color box, we've got something you'll like. Choose from our pistachio green, classic black or sophisticated silver, then accent with a your choice of ribbon colors. 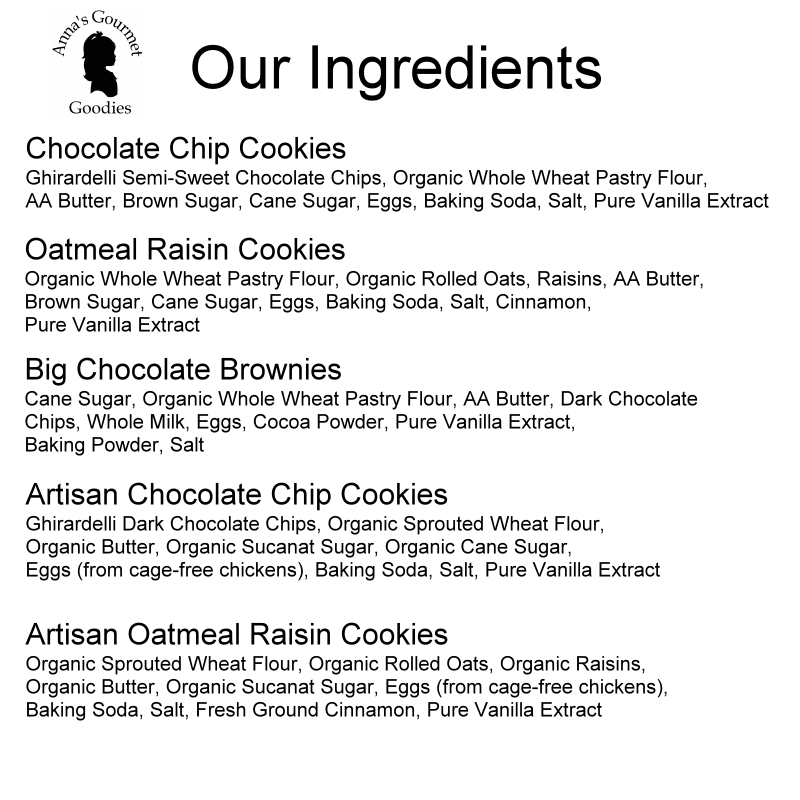 Of course, inside you'll still find our gourmet cookies made from organic whole wheat pastry flour, real butter, cane sugar, pure vanilla and either Ghiradelli chocolate or whole rolled oats with organic raisins. These are not factory produced cookies - they're made in small batches by hand. Cookie lovers can tell the difference and will appreciate your gift of true gourmet cookies. We've tried most all the others - ours really are the best! I surprised my husband with a box of oatmeal raisin cookies while I was away on a business trip - he loved them!